President Muhammadu Buhari has written to congratulate President Mahamadou Issoufou of Niger Republic on his recent re-election. 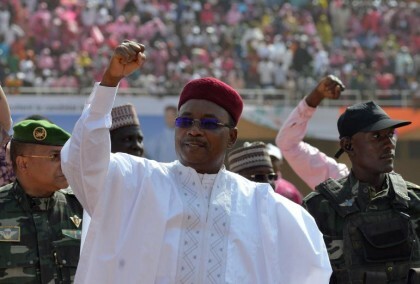 President Buhari extended his best wishes to President Issoufou and the people of Niger Republic after the peaceful elections, saying that it bodes well for the progress of the country. The President acknowledged an invitation to attend President Issoufou’s swearing-in for a new term in office, but regretted that he will be unable to attend due to his ongoing participation in the Nuclear Security Summit in Washington DC. Wishing President Issoufou a successful new term in office, President Buhari expressed the hope that peace and progress will continue to prevail in Nigeria and Niger Republic.